Below is a list of all the Frailcare centres that are listed for Gauteng on our website. Please click below to find out more information about each one. Professional nursing, lovely homely surroundings, friendly and knowledgeable staff, clean and spacious rooms, tasty and nutritious meals, social activities, companionship. Care In Midstream Frail Care Centurion is a brand new, fully equipped facility, staffed by a professional and experienced team, skilled in a variety of disciplines, with a common goal – to ensure the exceptional care of residents. 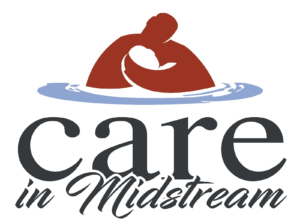 Care In Midstream Frail Care is a new, modern and fully equipped facility, run by a committed and experienced team, who are trained in a variety of disciplines, and whose common goal is to ensure the exceptional care for residents. This old age home is situated near Westgate shopping centre. Residents enjoy the beautiful gardens that surround the home as well as the shady resting points for relaxing and socialising. June’s Haven Frail Care provides assisted living for the elderly. Management and staff are fully dedicated to around-the-clock care and comfort of residents. All this is done in a beautiful and loving home environment. Ron Smith Care Home is conveniently situated on Modderfontein Road, on the borders of Edenvale, Lyndhurst and Bedfordview. The Care Home caters for older people who need 24-hour nursing care. The Whole of the Moon Old Age Home Benoni is situated in an upmarket, secure, country estate. It is close to shops, including pharmacies and banks, as well as doctors’ rooms and hospitals. The AD Care Waterkloof Frail Care Clinic is a well established clinic in the heart of Pretoria, inside the Upper Waterkloof Retirement Village. Henley River Frail Care Centre provides mid-care, assisted living, full frail care as well as recuperative care post hospitalisation or illness.